From the Sunday funnies dept. Philadelphia (July 17) - Last week it was reported that the famed Liberty Bell has shattered into more than a dozen pieces. Experts say that in recent years the famous crack, started when it was first rung in 1776, has widened owing to repeated trampling of the Bill of Rights by the Bush and Obama Administrations. 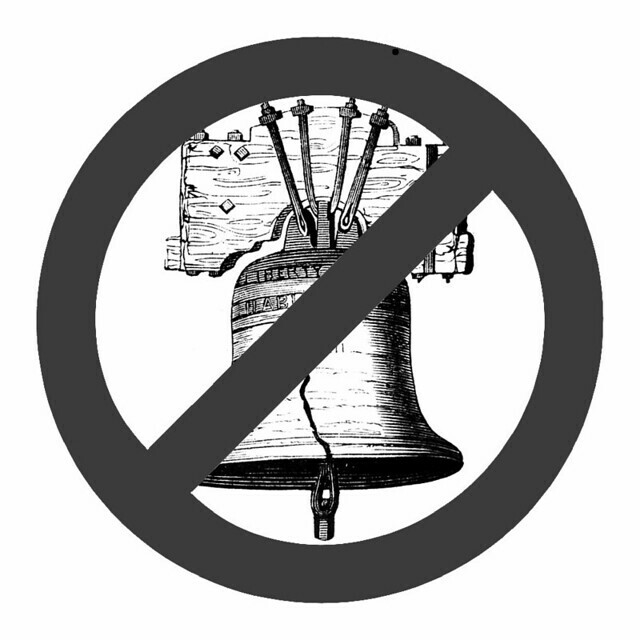 Finally, under the pounding Liberty has taken in the Supreme Court, the bell broken into more than a dozen pieces. However, as every cloud has a silver lining, Linux Beach has been able to acquire, at auction, the pieces of the Liberty Bell. We have decided that these Liberty Bell scraps would be a fitting prize for those who have done the most to destroy liberty in America. Therefore we will be awarding them, one piece a year, for the next dozen years or alternatively, for as long as we are at liberty to do so. It is therefore with great pride that we are happy to announce that nominations are now open for the first annual NO BELL PIECE PRIZE!